Well, I love little gifty things to just surprise someone with, especially if they are quick and easy to make. Even the simplest of things will bring a smile to someone's face and isn't that the end result we want? 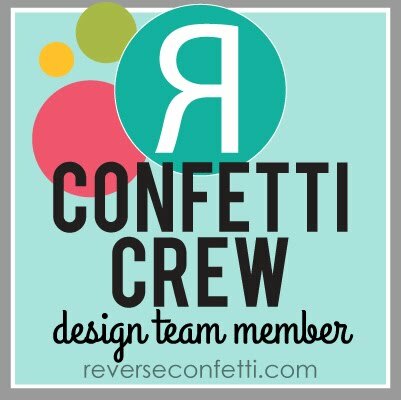 So when I found out about the August Project Parade and Jen's fun idea: HAPPINESS FOR HOSTESSES, I knew this would be a great way to showcase something easy to duplicate and not too complicated to make, even if massed produced. I even tried to set a time limit on how long I could spend on this project to show ya'll how fast it came together, so ya'll would not be intimidated if you want to make one or some of these on your own. This project literally took me about 30-40 minutes to make! (Much less time than I spend on just a card most times!) It could also easily be transformed into little Halloween gifts or sweet neighbor treats for the upcoming holidays (which I always love to give!). 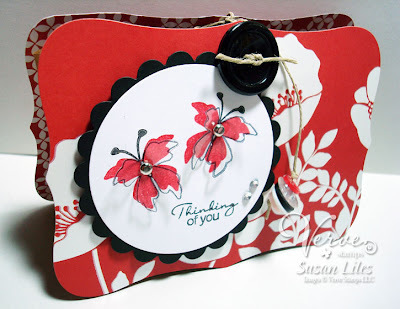 I know a lot of you have the Top Note die from Sizzix/SU! (? ), but I don't. I have Nestabilities, so I used my new Labels 8 die and cut two of them out of some thicker scrapbook paper (preferably double sided for extra umph). One for a front piece and one for the back. 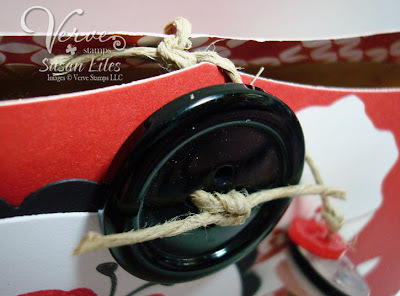 Then I glued them to the front and back of a small (very small) lunch sack to create my little "box". 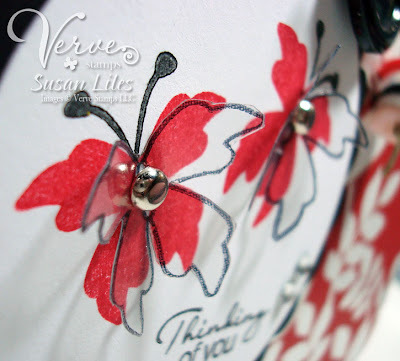 I stamped the image panel using one of my favorite new Verve sets called Enjoy, embellished it with clear butterflies that I stamped with the outline image and affixed them with brads. I then attached it to the front of my little treat bag/box with foam boosters. All that was left was to make the closure. I attached the large black button by punching 2 small holes at the top of the front panel and tying it on semi-loosely with hemp twine strung up through the holes from the back. I then tied another longer piece of hemp through an eyelet I set through the top of the back panel. The longer twine, accentuated with some buttons for lack of beads (still cute! ), just wraps around the button to hold it shut! But before I closed it up, I couldn't forget to fill it with Raisinets--my favorite! (This may or may not make it to my friend I was planning on giving it to. Yep, too late--just ate the last one! Note to self: Buy more Raisinets.) So see how super easy and quick this was? And it's surely a smile bringer-onner! 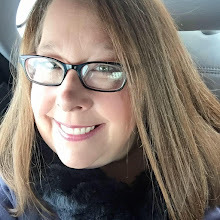 Try making one of your own just for grins! 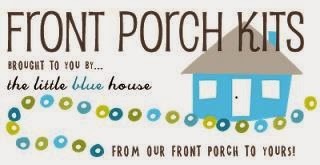 So....have you decided what fabulous hostess gift you'd like to create? We can't wait to see it! 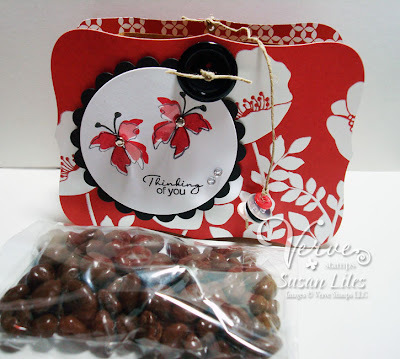 To play along, just make a project or card that shows us your take on the Happiness for Hostesses theme. Verve Stamps are not required, but if you've got 'em we love to see 'em! Then just add a link to your creation to the Mr. Linky form in DAY ONE's POST before 8PM Mountain September 12. Two lucky participants will win a stamp set of their choice from the Verve Store. We've also hidden another $25 gift certificate somewhere along the parade for a random commenter. So if you like what you see, be sure and give a little shout out in the comments of each post! Have fun and good luck! 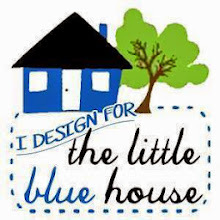 SUSIE Q-TIP: It's ok if you don't own the Labels 8 Nestabilities die, the Top Note Sizzix die, or if you don't own any dies at all! 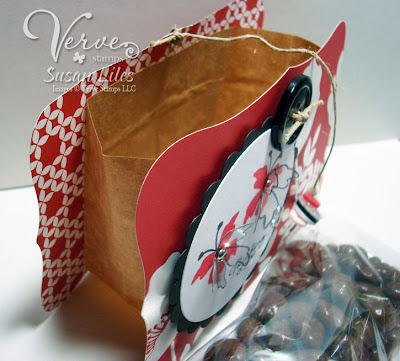 You can still make this gift bag! You can use any other shape you like that would accomodate some sort of bag on the inside. How about a square with rounded corners? You are really pushing me over the edge with the new Verve sets! Love your set and the colours are fabulous! Wow! What I love the most are your layered butterflies! What a totally adorable look. I love the idea of using this bag!! Very inventive and I like your imagination on the closure. :) Super cute Susan!! :) LOVe what you did with those butterflies. Great color combo too!! Have a great day! Great idea. I don't have those dies either, so the suggestion at the end was wonderful!